The weekend past woke us up from our slumber to make us realise that monsoon is around the corner. While we badly need rains to beat this scorching heat, we are also biting our tongue every time we hope for it because we know with will come its own set of problems. And one of the biggest inconveniences caused by the downpour is stranded cars. But fret not. We have curated a list of roadside assistance services that will promptly respond, get things fixed, and get you going irrespective of where you are (pan India). Found yourself at a junction with an engine failure with the vehicles at the back going ballistic with their horns? We feel you, and so does Crossroads. A 24×7 road assistance service with pan India coverage, you can call Crossroads from just about anywhere. Just like your favourite pizza, they’ll reach you within 30 minutes, equipped to fix your car. What’s even better is that you can live track the movement of the technician coming your way. And heavens forbid if it’s something they can’t fix, then they’ll tow your car to the nearest service centre. If you call them for a one-off incident, they charge INR 600 for the mechanic plus additional cost depending on the issue. But if you travel wide and extensive, you can instead subscribe to their annual plans (starting at INR 1,499) that gives you the liberty to be their guest wherever you go, plus additional services. With this globally trusted brand, don’t ever get stranded. Offering services pan India (over 950 cities), Allianz roadside assistance has a sophisticated and an assuring service that will automatically instil confidence that your vehicle is now in safe hands. They will fix minor problems on the spot, or tow it away in case your vehicle needs further assistance. While they prefer you take their annual package starting at INR 999 (this includes free towing, by the way) they are also happy to offer one-time assistance for INR 708 with a commitment to reach your spot ASAP. Stuck? Just reach out to them and they’ll take care of the rest. 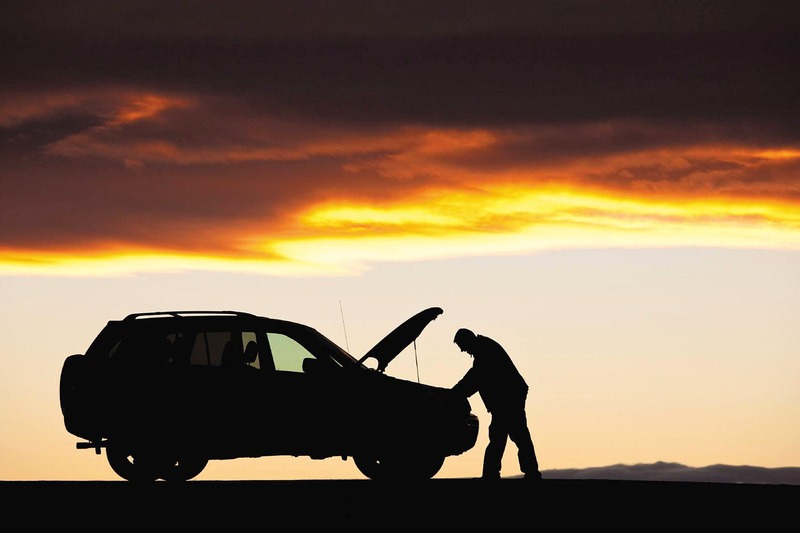 Be it a battery jumpstart, fuel assistance, flat tires (c’mon, this you should be able to pull off yourself! ), or any other minor fault repairs, they’ll get it fixed, or tow it away. They will even come to your rescue in case you have mindlessly locked your keys inside, all within 45 minutes. One time visiting cost is INR 550 plus whatever is required to fix your ride, but here too you can opt for annual packages which start at INR 1,099 for four-wheelers, and, INR 599 for two-wheelers for five call-outs a year. Quite a recent addition to the roadside assistance brigade, FASTnSURE is rapidly making its space in the list of best service providers. Spread across 13 states (Delhi, NCR, Mumbai, Gujarat, Rajasthan, Madhya Pradesh, Maharashtra, Goa, Punjab, Haryana, Himachal Pradesh, Uttarakhand, and Uttar Pradesh). They make sure they send a technician to reach you within 40 minutes, charging a visiting fee of INR 666 (no, we’re not calling the Satan). But on the other side, they too have annual packages (INR 1,111, INR 2,222, and INR 3,333) that include on the spot assistance and other repair and maintenance services to keep your vehicle healthy! Call them on +91 9409552288, or +91 7940143030. Be a good Samaritan this monsoon and bookmark this link even if you don’t drive a vehicle. You never know who might need help on the road.